Leslie H. Mueller, age 72, a lifelong resident of Tomahawk, WI, passed away peacefully at home on Wednesday, January 23, 2019. Born and raised in Oconomowoc, she graduated from Oconomowoc High School in 1964. While working in Fifield the summer of 1968, she was introduced to her future husband, James Mueller, and were married shortly thereafter on November 16. They welcomed their daughter, Vicki, into their lives in May, 1969, and she was joined by her brother, Rick, in February, 1971. From a young age, she was very artistic. Leslie always found time for sewing and knitting, making many memorable family outfits and sweaters, and even ran a small alteration business for many years. A lifelong homemaker, she loved cooking and particularly enjoyed making the holiday dinners. She & Jim spent countless hours snowmobiling each winter with the kids, Ski-Boose and all. Members of the Kas’s Dinghy Club, summers were spent pontooning on the Mohawksin with family and friends. An avid dog lover, the house was seldom empty. She enjoyed traveling, the occasional casino jaunt, and spending time with her family. Survivors include a daughter, Vicki M. (Mark LaBarre) Mueller, of Big Lake, MN, and a son, Rick R. (Michele) Mueller, of White Lake Township, MI. She is further survived by two granddaughters, Ashley Elizabeth and Kellie Ann. 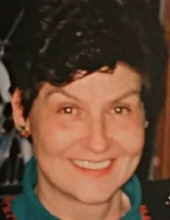 She was preceded in death by her father, Burton F. Hales, mother, Janet (Dehond) Hales, husband, James C. Mueller, sisters, Judith (Nels) Thommesen, and Penny (Peter) Fransicso. Memorial Services for Leslie Mueller will be held on Sunday, January 27, 2019, at 5:00 PM, at Generations Funeral Home. The family will receive friends for Visitation from 3:00 PM until the time of Services at 5:00 PM. Rev. Larry Mathein will officiate. To send flowers or a remembrance gift to the family of Leslie H. Mueller, please visit our Tribute Store. "Email Address" would like to share the life celebration of Leslie H. Mueller. Click on the "link" to go to share a favorite memory or leave a condolence message for the family.